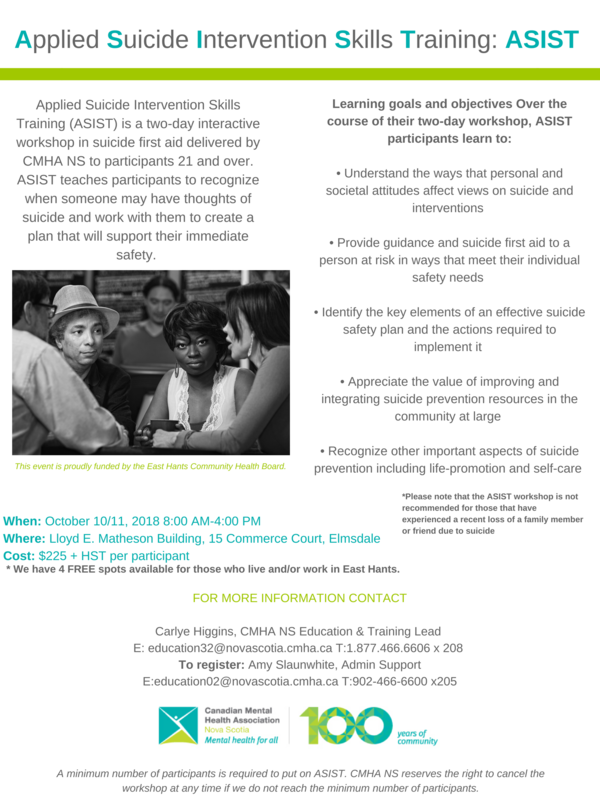 CMHA NS Division in partnership with the East Hants Community Health Board is putting on ASIST Training at the Lloyd E Matheson Building in Elmsdale- October 10 and 11 from 8:00 am-4:00 pm. Cost is $225 plus HST per participant. However, we have 4 free spots reserved for those who live and/or work in East Hants.